Tiffany & Co. today announced that tennis champion Maria Sharapova will wear Tiffany earrings designed by Frank Gehry at the 2009 US Open, August 31–September 13, at the USTA Billie Jean King National Tennis Center in Flushing, New York. 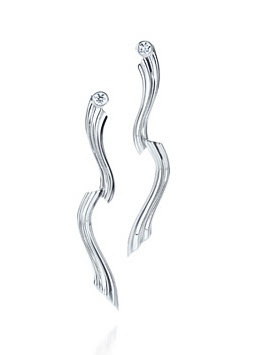 The sterling silver and diamond earrings were created by the world-renowned architect and Tiffany designer especially for Ms. Sharapova to wear at the US Open. When asked about whether or not Sharapova will actually wear the earrings while she's playing during the Open, she said, "Absolutely, Yes.!" Could tennis stiletto shoes be far behind?